He’s met President Barack Obama, Shia LaBeouf, Kurt Russell, Goldie Hawn, Megan Fox and Susan Sarandon. He looked King Tutankhamun in the face, burrowed under the Sphinx and claims to have found the temple of Alexander the Great and the mummy of Hatshepsut. 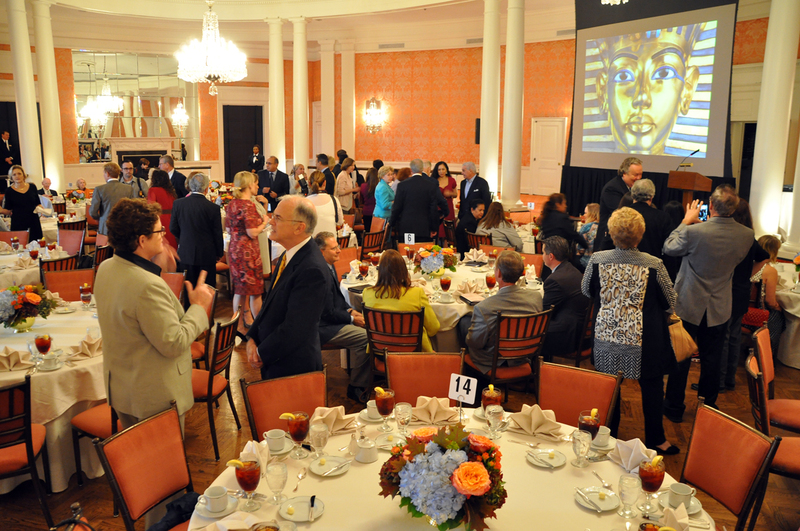 With a lifetime of distinguished discoveries and achievements to draw from, famed archaeologist Dr. Zahi Hawass shared his adventures with the students and educators present at the 2015 Houston Museum of Natural Science Excellence in Science Awards Luncheon. Thursday, Oct. 22, Hawass delivered an astounding keynote speech to 182 attendees, including HMNS President Joel A. Bartsch and Ernie D. Cockrell of the Cockrell Foundation. The pair awarded Eleanor S. Frensley Student Scholarships to Rolando Marquez and Philip Tan and presented Mycael Parks and Dr. Thomas Heilman with Wilhelmina C. Robertson Teacher Awards. In his speech, Hawass inspired both adults and students in the audience with his experience growing up from humble beginnings and coming late to the game. Before he was 20 years old, Hawass pursued careers as a lawyer, a diplomat, and in archaeology. He hated being out in the desert, he said, because of the high temperatures and the punishing sun. But when he was sent on an excavation and asked to sit down in a tomb to brush dust from a statue of Aphrodite, he found his love of archaeology. 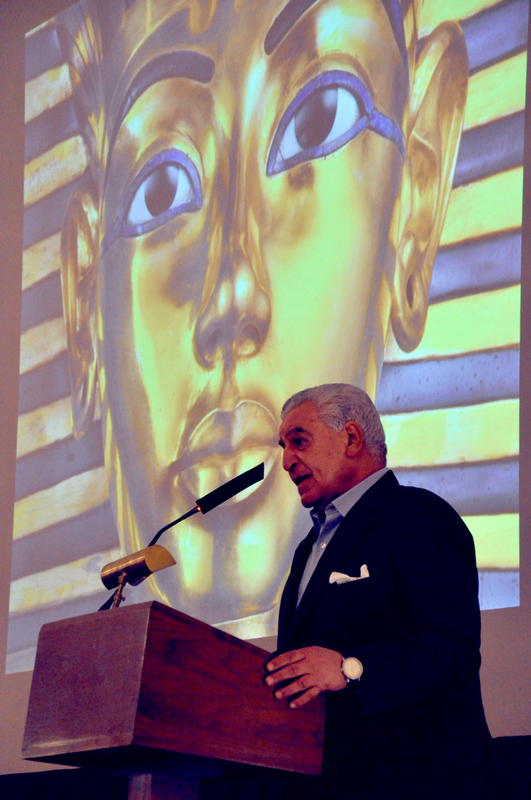 In a riveting slideshow of shots from Egypt, Hawass shared new discoveries about the location of Nefertiti, the use of contemporary imaging software to peer inside the great pyramids, working with actors and meeting the President of the United States, and excavation projects in the Valley of the Kings.